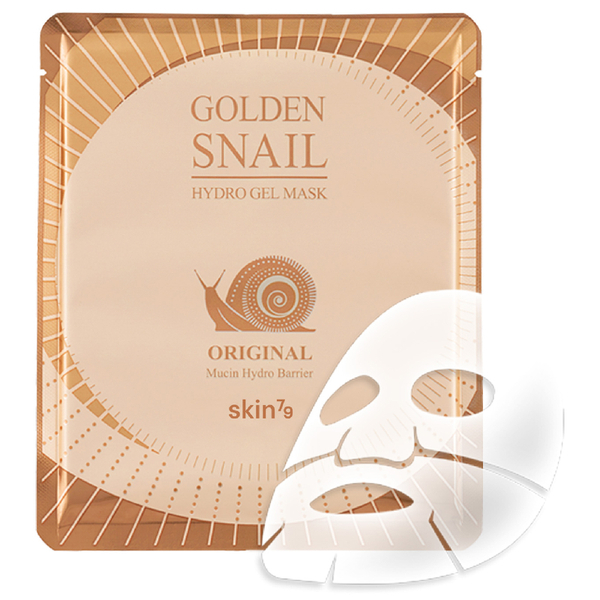 Pamper the complexion with the Original Golden Snail Gel Mask from Skin79. The Gel mask arrives as an ultra-thin sheet. Super-adhering, the mask fits to each contour of the face for maximum effectiveness. The beneficial nutrients effortlessly absorb into skin, without leaving behind a sticky residue. Concentrated with enhanced Mucin, the sheet mask delivers intense moisture and smoothes the appearance of skin, whilst Sea Swallow’s nest offers anti-ageing qualities. Expect a healthy appearance that boasts a youthful glow. After cleansing. Open the pouch and place the mask on the face. Leave on for 10 to 15 minutes, remove the mask and pat the rest of formula on the face for absorption.